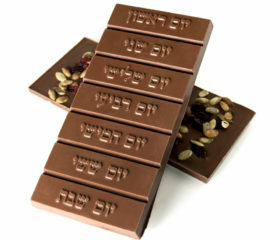 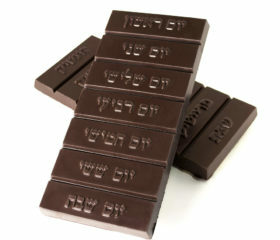 Certified Kosher and gluten free, creamy dark (or milk) chocolate poured to become a breakaway bar with each of the 7 days in Hebrew. 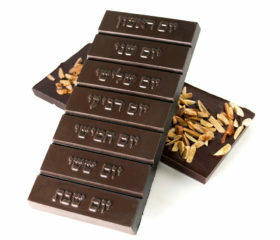 Nuts on the dark bar are toasted almonds, milk bar has cranberries and toasted pumpkin seeds. 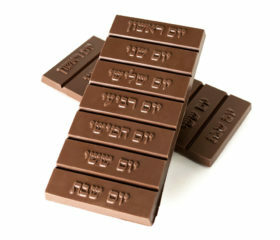 Each bar is 8oz.